Nurturing Your Baby Spiritually during Pregnancy is the most recent addition to the Wilmette Institute’s roster of courses in its 24/7/365 Anytime Courses series. It is the first 24/7 course from the Parent and Family Life section of the Department of Marriage and Family. Consisting of five units that are open year round, the course is open to expectant parents, to other family members, and to parents planning to expand their family in the near future. The Parenting and Family section will assign a mentor who will be available to guide you through the course. The role and preparation of mothers, fathers, and other family members for the changes ahead. The use of prayer and spiritual scripture throughout the experience. The marriage and family unit as the secure foundation for the well-being of the child. 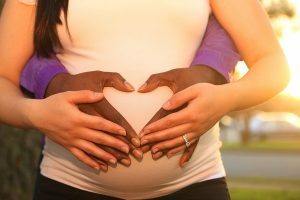 The importance of building a spiritual and emotional support network for new parents. Faculty for the course are Chelsea Lee Smith and Swathi Baskaran. Nurturing Your Baby Spiritually, like other 24/7 courses, is not eligible for the $10.00 deep discount. The course is $50.00 per person, but if two people sign up as a group, the price per person goes down to $40.00 per person, which saves money. In all the 24/7 courses, you can sign up at any time and work at your own pace and on your own schedule.